If you’re having chest pain or shortness of breath, you may need an electrocardiogram, also known as an EKG or ECG. At Healing Hearts Clinic, the experienced cardiovascular doctors evaluate your symptoms and determine if you need this diagnostic test. 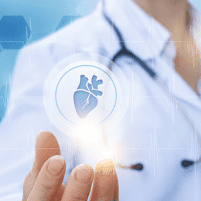 Call one of the locations in Conroe, The Woodlands, and Huntsville, Texas, or book an appointment using the online booking tool to find out more about electrocardiograms. The test measures your heart’s electrical activity. It’s noninvasive and doesn’t cause any pain. Electrodes are placed on your chest, and sometimes on your limbs, and transmit information about your heartbeat to a monitor. A heartbeat results when an electrical impulse that comes from cells in the upper right chamber of your heart activate. The electrocardiogram measures the strength and timing of the electrical impulses. Typically, 10 electrodes are placed during an EKG and the information is transmitted as a graph. An EKG can determine if you have blocked or narrow arteries, structural problems, or had a previous heart attack. It can also be used to assess the effectiveness of ongoing heart disease treatments. An EKG is an important tool in determining the health and functionality of your heart. What symptoms could require an EKG analysis? An EKG can help the doctors determine if a cardiac issue is the reason you’re experiencing these symptoms. The test is painless. No electrical energy is sent into your body during the test; it only measures electrical activity. You may feel a little discomfort when the electrodes are removed from your skin — much like an adhesive bandage being removed. You can go about all your normal activities following the test. For more information about whether you need an electrocardiogram and how you should prepare for the test, call Healing Hearts Clinic or book an appointment online.